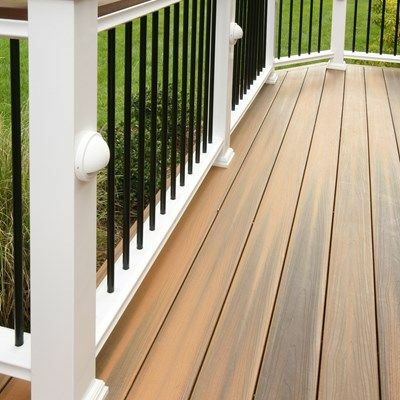 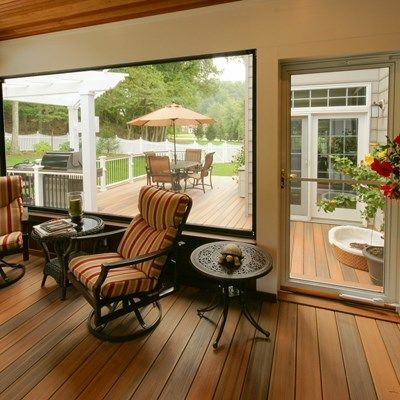 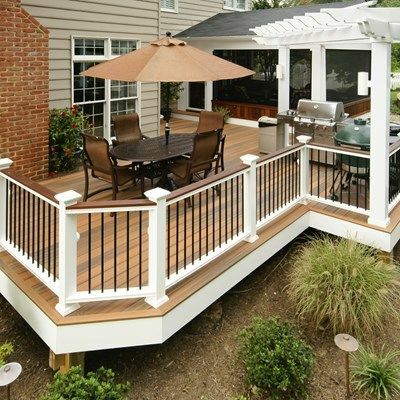 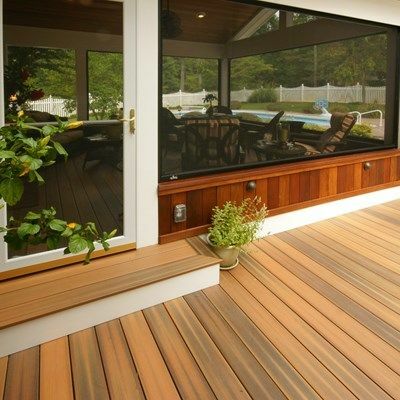 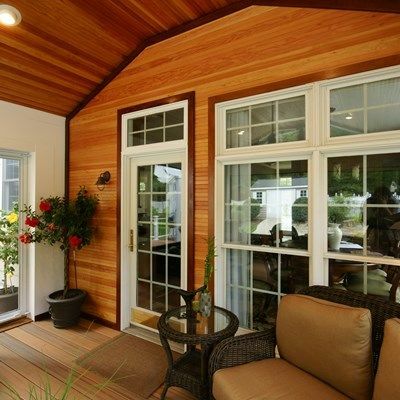 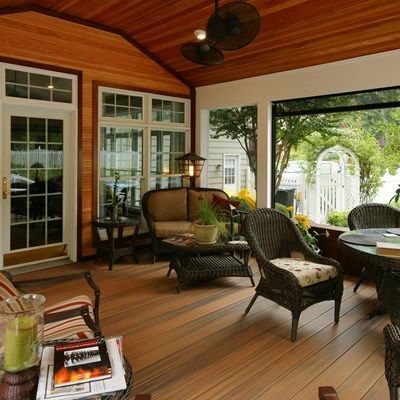 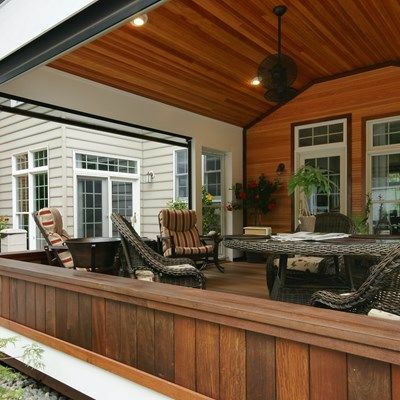 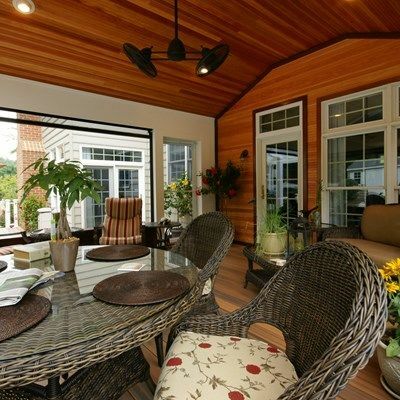 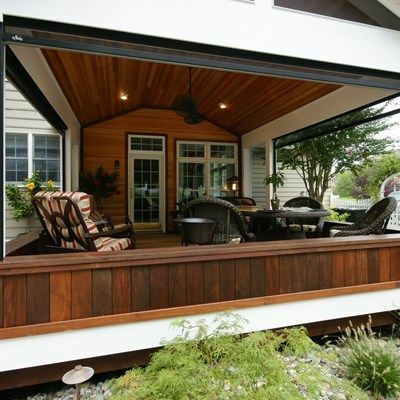 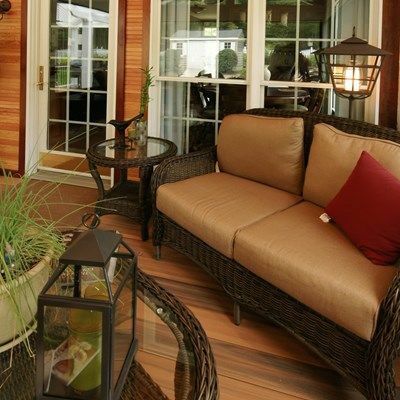 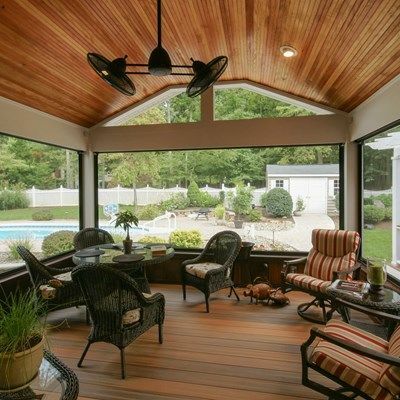 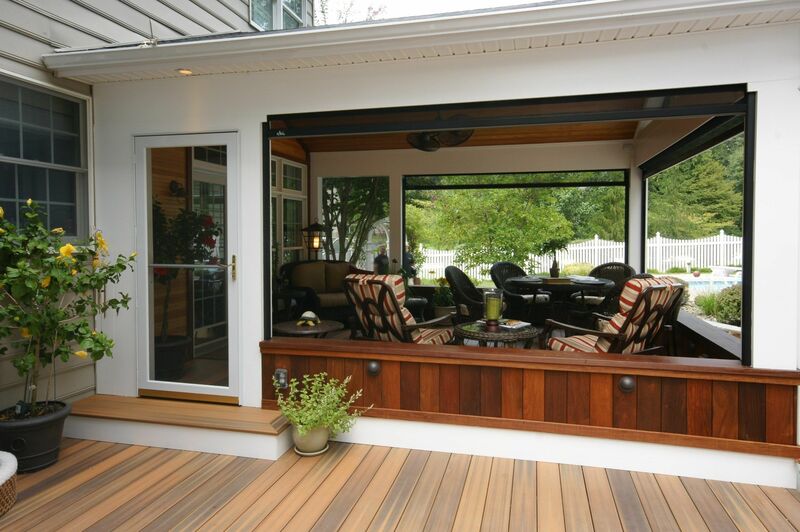 This deck/porch is part of a complete renovated backyard. 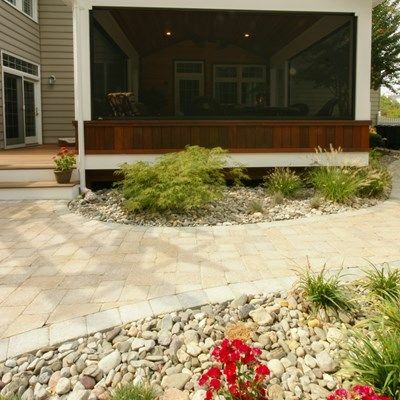 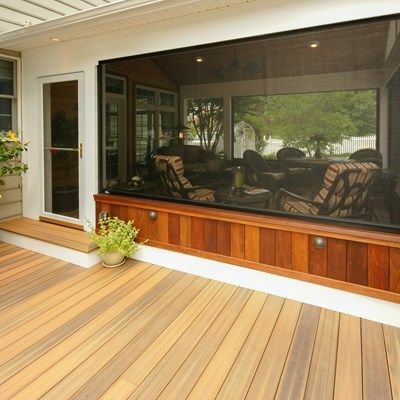 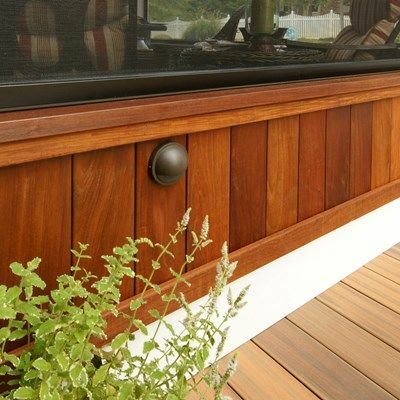 The porch has a motorized screen an all three sides to maximize the view. 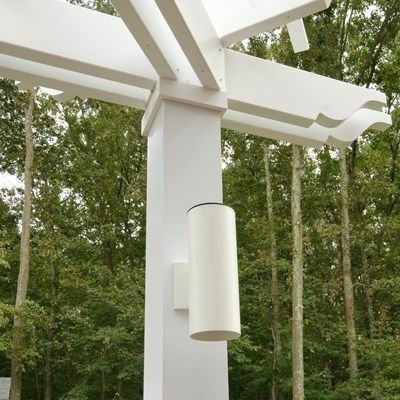 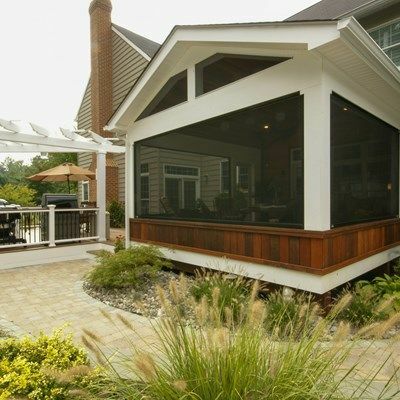 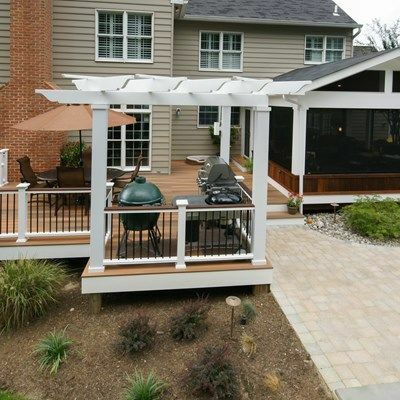 The grill area is covered with an angled fiberglass pergola.